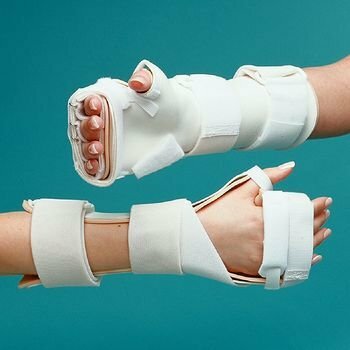 Sammons Preston Rolyan Arthritis Mitt Splint A3095 Left Medium by Sammons Preston at Muscle Pain Relief Rubs. Hurry! Limited time offer. Offer valid only while supplies last. Immobilizes the wrist and MCPs while allowing movement of the IPs. Preformed from Polyform Light with a Plastazote padding liner (also included). Immobilizes the wrist and MCPs while allowing movement of the IPs. Preformed from Polyform Light with a Plastazote padding liner (also included). Strapping system helps control deviation of the wrist and MCPs. Latex free.